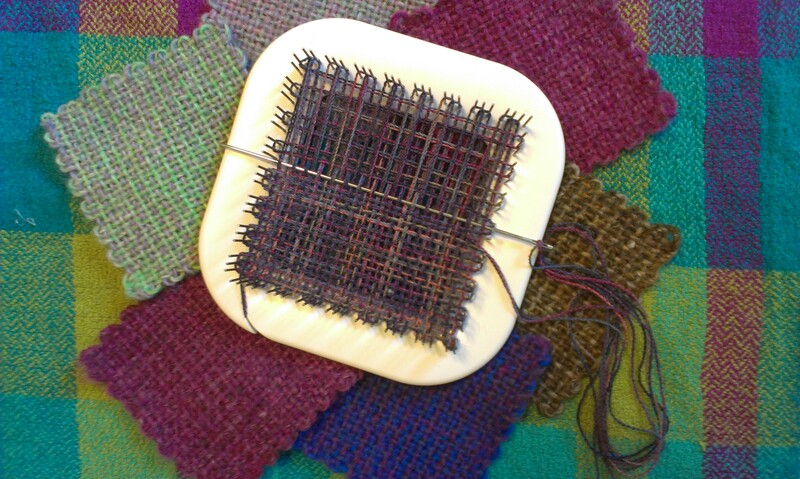 Although the Zoom Loom’s new ergonomic grip around the edge is nice, I found that after making nearly a thousand squares on my vintage Weave-It, muscle memory still tended to make me grip it by the pins instead of by the wide frame. The instructions are excellent, with detailed illustrations of each step of the warping and weaving process. 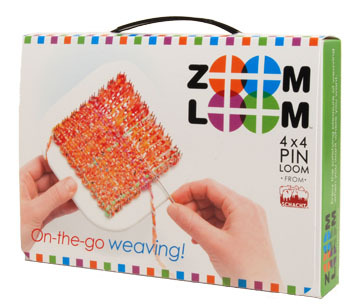 The Zoom Loom comes in a sturdy mid-size Velcro-closure box with a handle so it can be easily carried around town or on vacation. However, my vintage Weave-It came in a much smaller box barely any wider than the loom itself, which would fit into a purse or into luggage much more conveniently. Quite often, small is better. The packaging could have been downsized considerably without losing effectiveness. 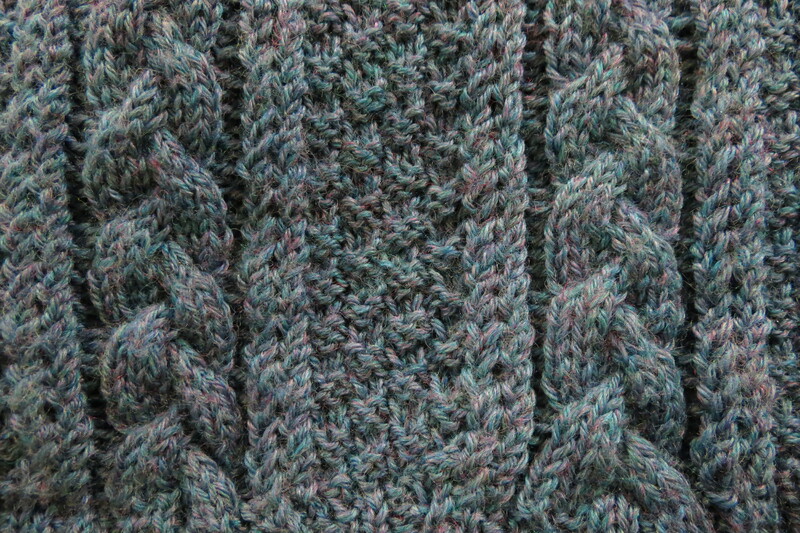 The Zoom Loom comes with extra pins and a large needle for weaving. These slip into a zip-lock bag that is stored inside the box. 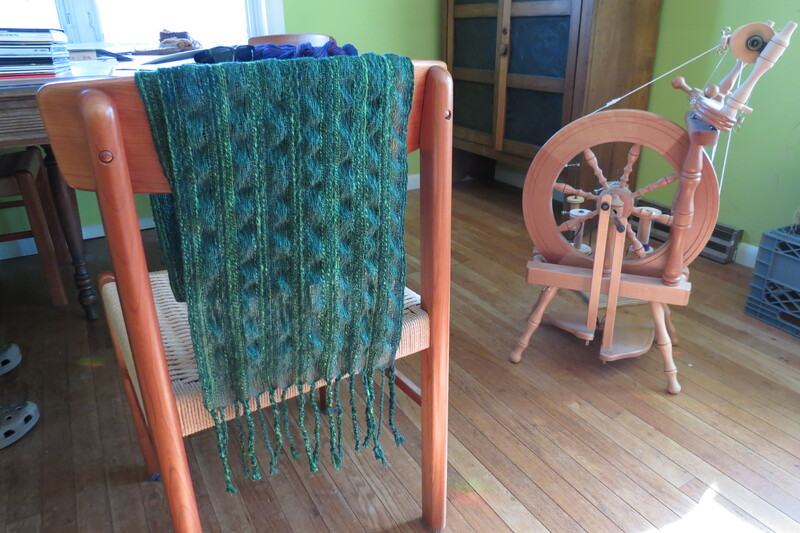 As with the Weave-It, possible projects include scarves, pieced quilt-like blankets and afghans, and garments. 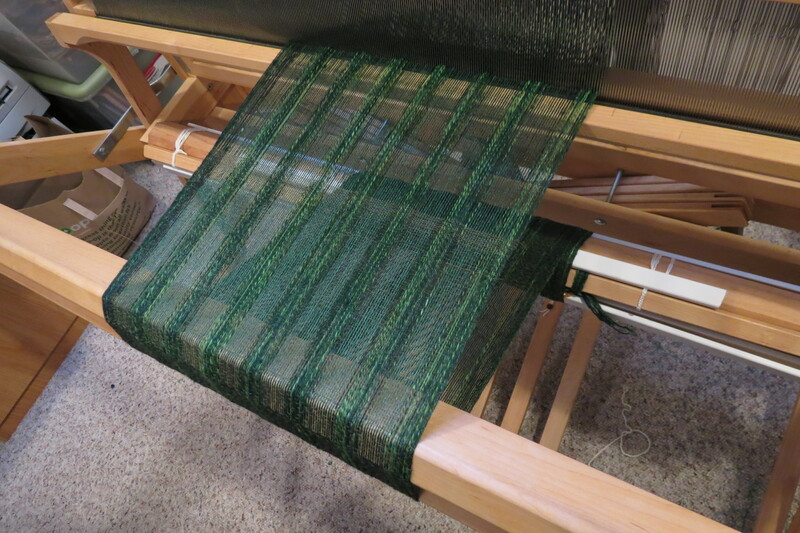 The Zoom Loom in action (note: fine yarns can be doubled, as here: click to enlarge for more detail).